Bryan Sadiua, Esq., studied at the University of San Francisco for both his undergraduate and postgraduate degrees. Mr. Sadiua obtained his Bachelors of Arts in Psychology in 2012, before matriculating to the University of San Francisco School of Law where he obtained his Juris Doctorate in 2016. 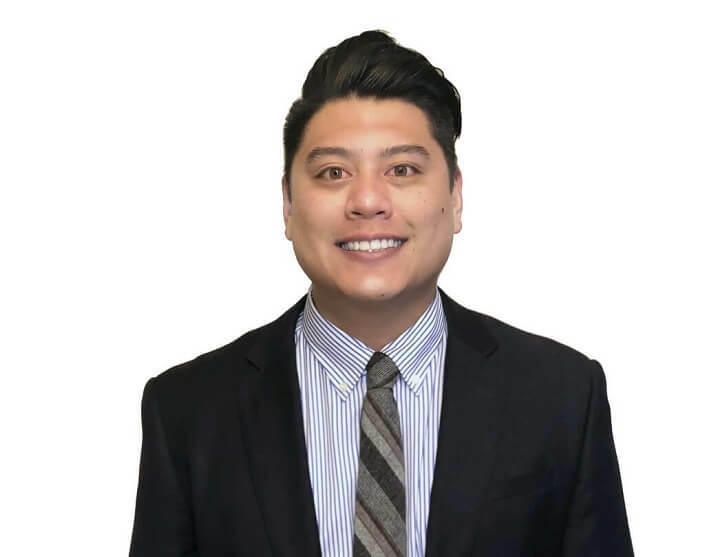 While pursuing his law degree, Mr. Sadiua served as the President of the Filipino American Law Society and was a member of the Diversity Committee in the Student Bar Association. An Associate Attorney at the Buzzell Law Group, PC, Bryan spent the first three years of his legal career in the Workers’ Compensation field representing employers, insurance carriers and third-party administrators in the litigation of workers’ compensation claims. Mr. Sadiua has appeared at, or taken part in, virtually every aspect of discovery, litigation and the settlement process that could pertain to a Workers’ Compensation case in California. Mr. Sadiua’s experience working for management and insurance carriers provides him with a unique understanding and perspective that is often times advantageous for clients. Bryan strives to connect with his clients, as it is essential that the attorney-client relationship be one built on trust and empathy; while streamlining his efforts to be both practical and results-oriented. Raised in Hawaii and southern California, Bryan enjoys staying active outdoors, working out, hiking, camping and surfing.